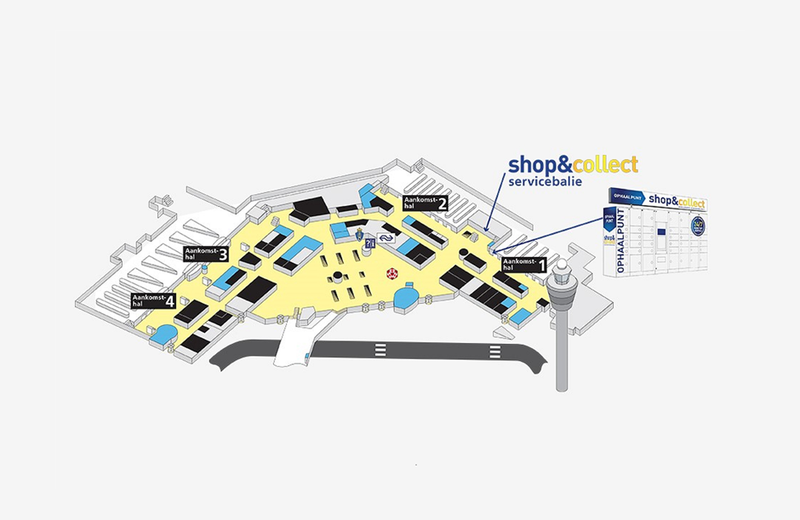 You can pick up your shopping when you return to Schiphol with Shop & Collect. Whenever you buy something in our great shops, just let the cashier know that you would like to collect your items later. 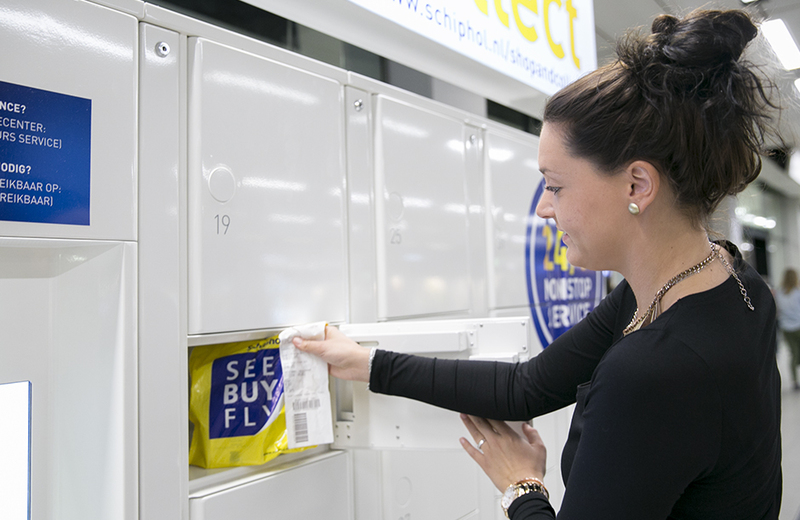 You can pick them up anytime day or night at Arrivals 1 in Schiphol Plaza. How does Shop & Collect work? The idea is easy. When you're ready to pay at the cashier, just let them know that you want to use the Shop & Collect service. They will seal the items in a plastic bag, then send them to your own personal locker. GASSAN products, watches and jewelry will not be sent to the lockers. These will be kept at the Baggage Depot. For all products, you will get a receipt and a map, so that you can easily pick them up when you return. Who can use Shop & Collect? You’re welcome to use the service if you are taking a flight within the EU and have Schiphol as your end destination. Your items will be stored for up to 30-days. You can also set a reminder for the day before you return to Schiphol. Just let the cashier know your mobile number and the day you will be back at Schiphol. We'll then send you a free text message the day before you’re due to land. Your number will only be used once. The Shop & Collect lockers are available 24/7. You'll find them in Arrivals 1 in Schiphol Plaza. Simply use the barcode on your receipt to open your personal locker. Take a look at our See Buy Fly offersand prepare your wishlist! If you need help with any aspect of Shop & Collect, simply walk to our service desk near the lockers. You'll find our yellow information centre on Kelderplen between Arrivals 1 and 2. View the latest deals and add them to your wish list!